​¿Qué es G I F T? ​What is G I F T? It is recognizing . . .
that we never stop growing. ​What Happens at G I F T? First, we share a meal -- a real meal; the cooking done for you. Just come, eat, and enjoy. Compatimos los alimentos - una comida verdadera, donde se cocina para ti. Ven, come y disfruta. Next, we gather -- we share an opening experience to prepare our hearts and minds. Juntos- compartimosuna experiencia para preparar nuestros corazones y mentes. 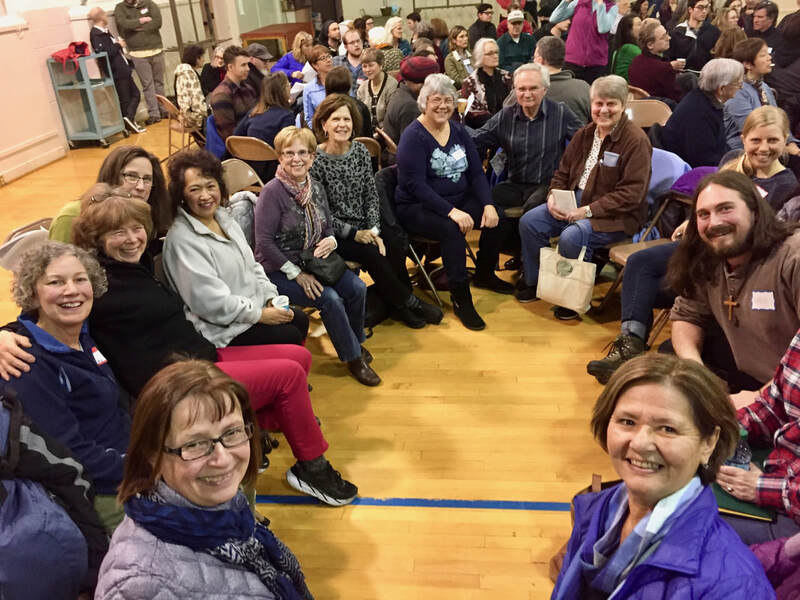 Then, we grow -- we participate in hands-on learning activities in small groups that foster discussion and build strong relationships with each other and with Christ. Crecemos- apredemos mientras participamosen actividades dentro de grupos pequeños para promover el intercambio verbal y contruir una relación entre nosotros. Finally, we go forth -- we reunite to share our experiences and receive materials to take home to help us live out what we've learned. Salimos - Nos reunimos para compartir nuestras experiencias y recibimos materiales para llevarlos a casa los cuales nos ayudarán a vivir lo que hemos aprendido. G I F T programs are for YOU!